I don't know how to add text content to a panel. TOPIC: I don't know how to add text content to a panel. 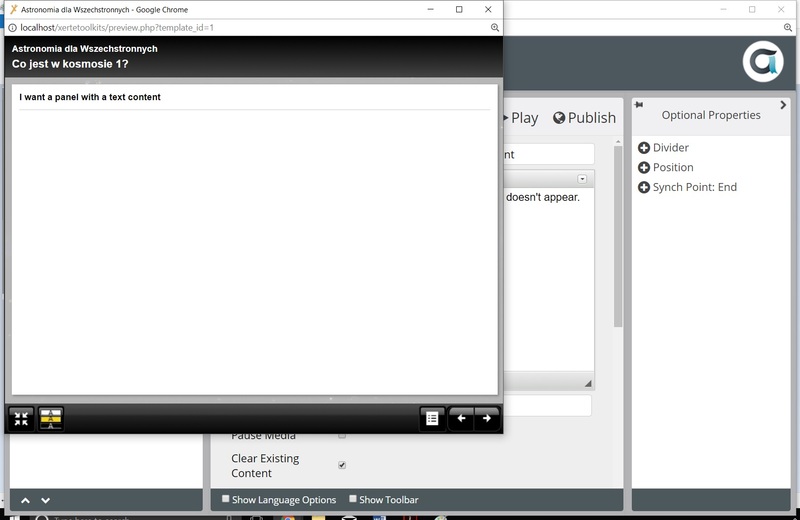 Hi, I am using a Media Lesson option and I am trying to add a panel with text content and a youtube video. I've just gave up with the youtube, but I am still trying to add a panel with text content and I can't. I open the panel title and I click on New Text Content, I insert a content, I play and it doesn't work. There is only the panel with the title, that's it, no text content. I've been trying for hours now and I don't know what is wrong. Can enyone help me? we can't tell from your first screenshot because the tree content is covered by the player window but I'm guessing that you don't have a video added? 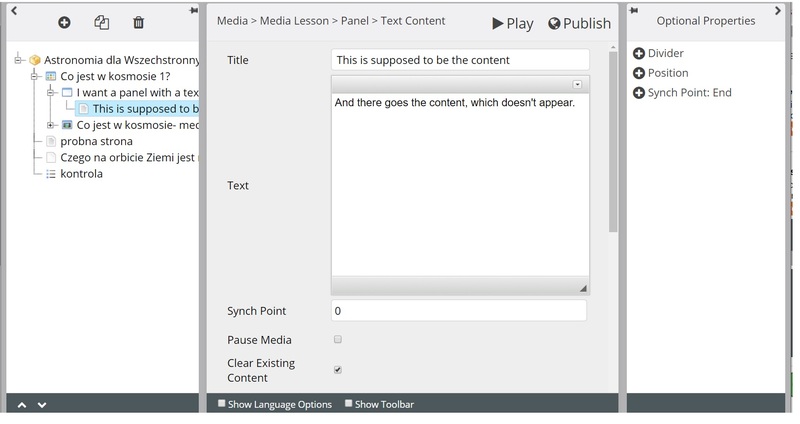 The media lesson page requires a video or audio to be added and then played which then triggers the synchronisation of content. Looking at your screenshot you have the video after the text panel but it needs to be before the text panel. If you want text to appear before the video try using the optional Introduction property. Thank you for your reply. I does work now! Sometimes simple solutions are the ones we miss. Thanks.